When it comes to maximizing your sales, reaching goals, and making the sales process easier, utilizing the best software possible will give you a big advantage. With so many different tools for sales reps available, it’s easy to get lost. In order to help you avoid spending your money on bogus or low quality software, I’m going to tell you about 5 pieces of software that every sales rep should have in their arsenal. As a sales rep, having a website to showcase your products and business is essential. It’s nearly impossible to have any type of business without having an online presence and creating a website is the easiest and best place to start. WordPress is a Content Management System that lets you easily set up your own website with absolutely 0 knowledge of coding or technical expertise. The reason I recommend WordPress for your website is that it’s easy to integrate features such as shopping carts, appointment schedulers, and other tools that sales reps need to help make sales and interact with potential clients. The sales process is notorious for having loads of paperwork. However, as we move towards a more “Green” world, using less paper is an excellent way to help the community while staying more organized as well. Docusign is a program that allows you to sign documents digitally. Instead of dealing with paper contracts, you can use Docusign to have clients sign digitally. You can email them a copy of the contract or sales order immediately so you don’t have to worry about making copies and faxing. I would recommend using Docusign for creating sales contracts, order slips, or anything else that requires clients to sign something. In addition to this, DocuSign is also able to integrate with several different CRM solutions as well. If you have clients all around the world, keeping in touch with them all can become difficult. Skype allows you to have video chats with current or prospective clients right on your computer, laptop, or mobile device. Trying to make a sale through email or even phone sales doesn’t have the personal touch that a face to face conversation will have. Through Skype, you can show clients your products even if they’re hundreds or thousands of miles away. Emailing a picture or describing what you’re selling over the phone is no match for a live presentation. I’m not sure about you, but I know that as a sales person I love some sort of incentive to give me even more motivation and drive. This is exactly what Xactly does. Most sales organizations have some sort of incentive or bonus program to help motivate sales reps already, but Xactly gives you a way to automate and organize it all so you’re not doing it manually. I like the dashboard of Xactly because it gives you a full view of where you stand as a sales rep in regards to commissions, how you’re doing in the compensation program, the ability to print reports and other useful features. The SupeRep app for iPad by Wrnty.com is a complete CRM that gives you everything you’d expect and more. Even though it’s aimed at wholesale companies, even smaller sales companies with sales reps can benefit from it as well. One of my favorite aspects of this tool is the e-Catalog. You can actually create a full digital catalog of all the products you sell and place orders right from the app. There are several other features as well like creating reports, tracking goals, and managing your customers. I also chose this app because it’s focused on one thing, increasing sales. Having features like alarms when you make sales or other gizmos is fine, but if a tool isn’t going to help you get more sales, what’s the point? I personally recommend all of these tools for sales reps or sales companies looking to get ahead and increase sales. Also if you’re serious about sales you should join SMEI. SMEI is an association of sales professionals joined together to help motivate each other and get access to a wide range of tools and benefits that will help you progress. 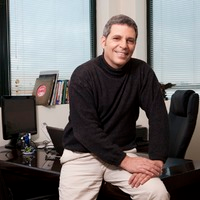 Ofer M. Yourvexel has been WRNTY’s CEO since 2009. His management experience spans the global high-tech and retail sectors. Before joining WRNTY, Ofer served as VP and Head of Information Management Products at Amdocs (NYSE:DOX) and Managing Director of International Operations at Jacada Ltd. (NASDAQ:JCDA). Ofer holds a BSc in Industrial Engineering and Management from Tel Aviv University. Mr. Yourvexel has been selected as a guest author. His opinions are not necessarily those of RepHunter. Please take advantage of those sales tools. One thing to remember is that as an independent sales rep, you are really starting a business. So you might need to change the way you think. One way to help you change your paradigm is to think of a manufacturer as your customer, and you are delivering to that customer new buyers and their purchases. So you really have to sell both ways: to your principal’s customers, and to the principal himself. now I am creating my profile with ” RepHunter “, and looking for Line of Products to Represent. Thank you.